The Christadelphian Scripture Study Service is pleased to be able to make available this moving and personalized account of John Evans and his bid to live by his conscience in the First World War. 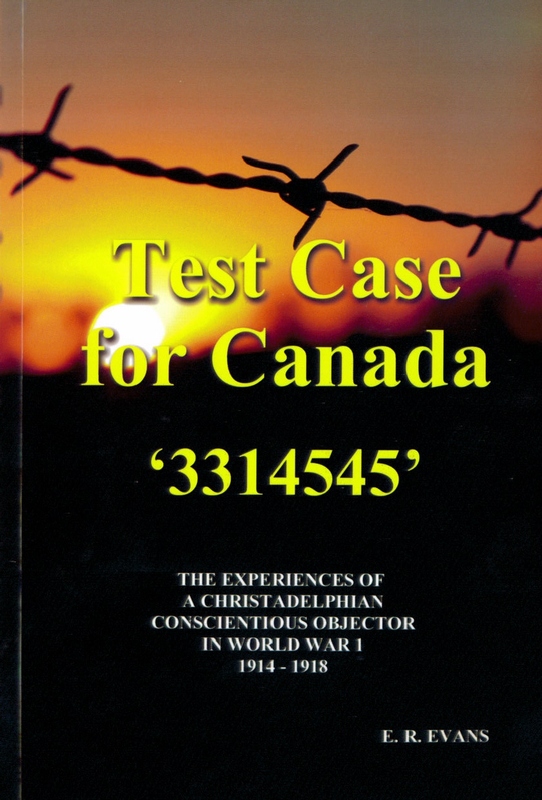 First published in 1972, the book “Test Case for Canada” was written by John’s son. 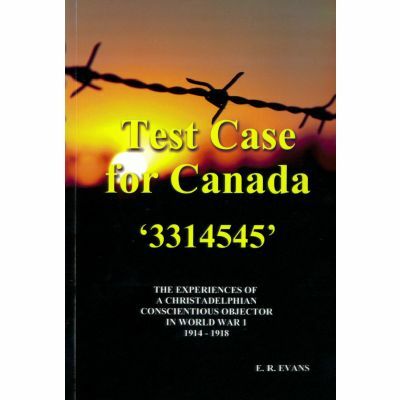 It describes his father’s experiences firstly in Southern Ontario, where he was baptized in October 1917 at the age of 22, and then the following April when, against his will, he was transported across the Atlantic on his way to “the western front”. In England he was court martialled. The illustrated book of 120 pages is very readable. It provides a timeless personal example of what it is like to make a personal stand for the truth in times of distress. In 1992 a group of young Christadelphians in South Australia presented a play based on the book. A large audience was moved by the presentation which is still vividly remembered by many. A 75 minute DVD of the play has been prepared for inclusion with the book, taken from video footage. The producers of the DVD, Ian and Mary Wigzell have produced a highly professional result from the archives.